My son and I were very pleased with Athan! My son, being in the business, said Athan was very professional, friendly, and most definitely knew his job. Don’t let him get away from you! We want him for next year! Thank you for the great and timely service! 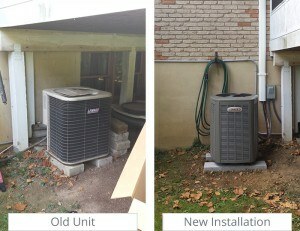 From the start to finish of the installation everything was done very professional and the techs were very knowledgeable. 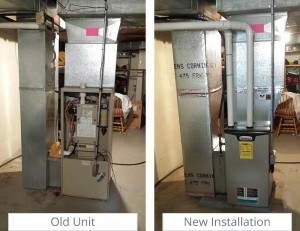 Very happy with our new Lennox signature AC. Our first year routine maintenance was performed to our satisfaction and the technicians were courteous and knowledgeable. Thanks for caring in today’s social climate of lost professionalism and one-on-one caring. 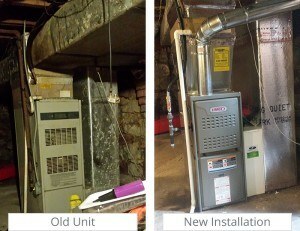 We were very pleased with the thorough “tune up” on our furnace. The tech was polite and answered questions. Very good service. Worked very hard to complete job and were helpful in every way! Prompt service, friendly, answered questions and did an excellent job. Same day service (not always easy to find) for a frozen pipe leading to the kitchen faucet due to extreme cold. I was very pleased with the rapid response, courteous customer service, including the call from the dispatcher to let me know the technician was on his way. Due to a problem beyond his control requiring construction work by the builder, the technician was unable to get the tap running. He explored every option he could to make sure he hadn’t missed something that would solve the problem. They charged what was promised, and they even followed up the next day to see if I had any questions or problems regarding the service call. Sharon D. | Washington, D.C. Fixed my gas furnace. Replaced the high limit switch and capacitor for blower motor and checked operation. 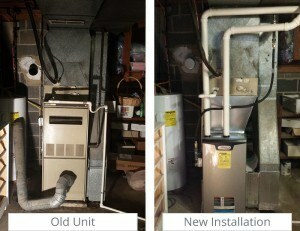 Technician arrived within an hour of call and promptly repaired furnace! 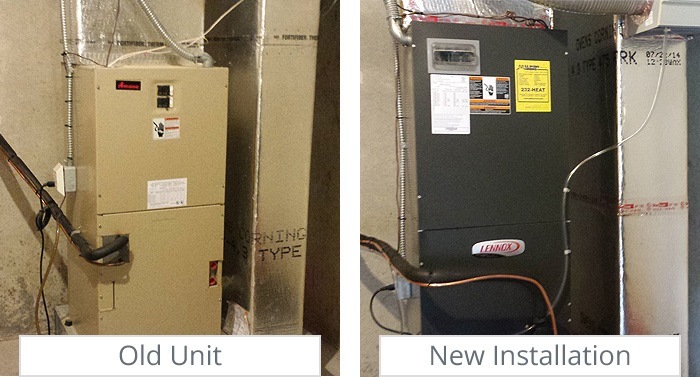 Thank you for having our heating needs taken care of quickly and efficiently. They installed a propane system for my back-up generator. They did an excellent job and I highly recommend them. Technician very professional and engaging. Hope to use HB McClure for all of our mechanical service/HVAC needs. Garbage disposal was replaced professionally. A positive, memorable customer service experience. Very positive experience. Technician was very thorough, indicated several areas of potential problems which I appreciated. Also the tech was very knowledgeable and friendly. Just want to take the time to give praise to one of our service techs Dan. I am so impressed from the quality of his work to the attention to detail. Dan performed several jobs at my house on my oil boiler if i would have not checked the service record card that he filled out and seen that it had new parts I would not have known he was there. I would recommend Dan to any one that needs work done. Had a furnace malfunction. Was corrected very promptly. The technician was excellent. Thank you for being a company that can be trusted and does great work! Your staff and technicians are the best!! We have service contracts with you and we appreciate your excellent workmanship, politeness, and reliability. Very courteous. I especially appreciated the shoe protectors he wore – wish all maintenance men used them. You have taken care of our home for many years. You have always given prompt and good service. The technician did a great job of explaining all items that were checked and inspected. He also took the time to answer all my questions. They installed a propane system for my back up generator. They did an excellent job and I highly recommend them. HB McClure arrived on time (0800), trenched for lines, set the tank I purchased from them exactly where I wanted it placed on my property, hooked up everything, disconnected the “Old Suburban Propane Tanks” (which is a whole other story about Suburban Propane), tested all connections and new regulators for leaks, cleaned up everything and checked in with me prior to leaving to see if everything was done to my satisfaction. Installation took approximately 4 hours. Very Pleased with HB McClure’s service and work! Would highly recommend them. Thanks for rescheduling our repair work to an earlier date. We had a much more comfortable weekend. 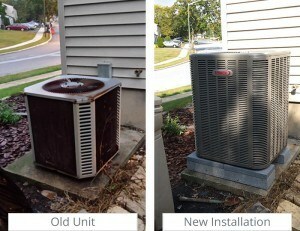 I have always been pleased with the service from your company- from the installation of my AC to the annual maintenance. The tech, Aaron, was courteous, competent and a credit to your company. Quick response to an emergency call and Daniel Cashman left our home very clean when he left. Daniel is indeed an asset to your company. Look forward to having him again. This company is a pleasure to deal with. I am impressed with how quickly you responded to my plumbing leak. Good work all around! Trust goes a long way. 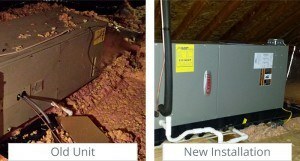 I had two other companies here for the sewer gas smell – I had an estimate of over $750.00. You fixed the same problem for $157.00. I thank you for your honesty! When I called, the person who answered tried to alleviate my fears that my house was not going to blow up (it was a really LOUD banging noise). They arrived earlier than expected the next morning, which was a good thing. He found the problem quickly but stayed long enough to make sure everything was okay and to make sure if the furnace was running properly. Installed A/C ductwork to my lower level from the attic of my ranch home. Fantastic. I received multiple quotes on this job and not only was McClure’s the most competitive, it made the most sense. Another company quoted me a price of over $6,000! McClure did it for less than $1,000. The salesman and installing tech were very knowledgeable and communicative in regards to the job. I am having them out to bid another job at my home next week as they seem to have a leg up on competency and reliability within this trade. Dan was a very nice young man, very professional and explained everything very well. You have a great employee! The technician who serviced my heating/cooling system was excellent. He was very thorough and I would welcome him back every service. I needed a larger expansion tank on the hot water tank due to increasing water pressure. My overflow pipe was releasing water due to the water logged expansion tank that was attached. With a hot water tank on the second floor I cannot have the tank putting off up to a quart of water a day. I put in a request and heard back from the company within an hour. The technician came to the house that afternoon and diagnosed the problem, went for the parts and returned to complete the work, all within an hour’s time. Diagnosis was $99, tank was $137 and relief valve $93. I felt that the cost for the work done was reasonable. The technician let me know before he arrived that the diagnosis would be $99. He then let me know what the cost would be when he determined the problem. I agreed that I wanted the work done and he went to get parts and completed the installation. I will call McClure to do other work when I need something done. I was impressed with the technician’s work. Your man showed me my gas furnace did not meet the code and made the necessary code work so it complies. I appreciate his thorough work very much! Andy was personable, on time and courteous. We’ve always been pleased with the service contract. Thanks. Just a short note to thank you and the young man, “Ken” who came to our home last Friday to repair our AC and readjust the thermostat. He was professional, answered all our questions, respectful , efficient and so very pleasant. Thanks to him and HB McClure for the service! Corey was my technician and was wonderful at explaining questions I had. It was raining the day he was here & he came fully prepared & never complained about being outside. He was very careful to use his shoe covers. I would like to have him every time. Professional, courteous technicians. James & Rob treated our home and property as they would their own. Great job overall. Excellent service. Ken is prompt, personable, knowledgeable, efficient, etc. He represents your company well and it’s a pleasure to have him in our home. 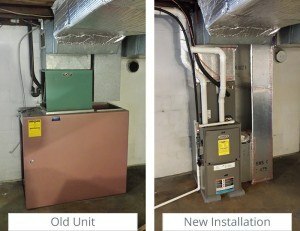 Furnished and installed new Lennox AC/Heat pump. Good price, arrived exactly on time and completed all work on schedule. Workmen were cooperative and professional. System is working as it should. Dan cleaned up and turned all lights off. Neat Job! No problems, thank you! Good to have a provider we can rely on and trust. Technician was very polite and knowledgeable. In fact he was actually early. All your men have been great to my late husband over the years and we thank you. He passed away and he knew you would help me when needed. Thank you all. Tech was polite, caring and is an asset to your company. Mike Snyder is my niece’s husband, we changed from UGI to you. Bob Whalen I worked for 35 years for Dr. DeLone his granddad. Tech was a very nice person. God Bless. We are well pleased with the service and your employees. Tech did a great job! Dan clearly explained everything he did so that I understood. First time in the 22 years I’ve lived in this house. Great personality. Seemed to really enjoy his work. Dan was professional. Very good tech. I especially want to thank Dan for his compassion, knowledge, and explanation on what was wrong with my air conditioner. If it occurs again, I would like Dan to be my technician again. Company is responsive to maintenance needs and service preferences. Maintenance service is punctual, knowledgeable and courteous. The technician was extremely thorough and knowledgeable. Answered all questions fully and provided great advise as to future service and performance. Very professional. We could not be more pleased with the services HB McClure provided. Your techs were at my house installing a generator when my sink started leaking into the basement all over my washer. Lloyd came up and checked out the plumbing to discover it was the disposal. He then replaced it right. He is a life saver! 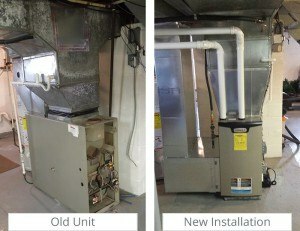 Dan was very knowledgeable about our AC and what we needed to do to keep it running efficiently. He was also very courteous. Lloyd was great at his job and very knowledgeable. He went above and beyond his job duties! Dan was very professional and he took the time to explain everything he did when he left. 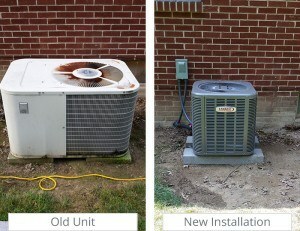 I felt confident that he had thoroughly inspected and performed the maintenance that we paid for. Excellent Customer Service! Your techs are always pleasant and get to the job at hand. I am impressed with the speed of your response, from the time I called to report a problem with our hot water heater to when Keith pulled up at our curb. Also, how quickly he thoroughly diagnosed the problem and had it fixed. I hope Keith is paid well. He’s a keeper! Arrived on time which I really appreciated! Both men were very helpful. Great tech. Very nice and on time. 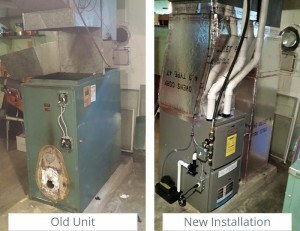 Dan, our service tech, was extremely knowledgeable of all aspects of our oil burner. 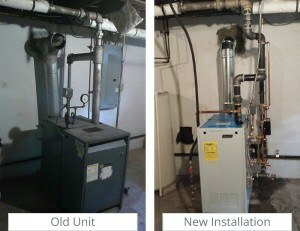 He explained in detail, what work was performed, the condition of our oil burner, etc. He was polite and very personable. All went well and they brought to our attention to cleaning the blower wheel which is something that was never brought to our attention. I also got to inspect the part that needed to be cleaned. Thanks! Corey did a very professional, neat, and efficient job. He is always welcome back to work in our home. Rob was very friendly and did a great job! Thank you. Your sales/service and in house phone operators kept me informed. Very professional. Would not have anyone else. I have dealt with your company for a number of years. Would not have anyone else. Aaron was very courteous and professional. He did not mind me watching and asking questions. He figured out that my outdoor units were shaded and adjusted accordingly. Great Job! Good Job. We like the product we bought. Gerald was prompt, courteous & friendly. Rob & Dan were also friendly and courteous.They were hard working, wore booties when entering my home & explained in detail what work they were going to do. Seemed to be organized. I’ve been with you for 25 years for all HVAC, plumbing and duct cleaning. You have always done a great job! You have an excellent staff. Corey took the time to answer every question I had and made sure I understood how my heat system operates. He is worth his weight in Gold! Great electrician! Great representative for your company! We have been using HB McClure for all our heat and air conditioning repairs and inspections since we moved here 5 years ago. Their service has always been excellent. 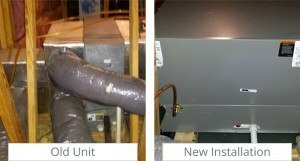 They have also done plumbing work for us including installing a new hot water heater. Again, the service was excellent. Speedy same day service. Was greatly appreciated. Your technicians were so very nice. They were professional in their work process, answered questions. Technician was very good & courteous. I can’t say enough about Lloyd. What a great technician. He came today (I requested him) nd fixed the problem. It means a lot to me to have a tech you can trust to do the job right… and Lloyd is that tech. Thanks HB McClure!The overall attitude, service, friendliness is appreciated. Prior to retirement I had my own insurance company. HB McClure always gave excellent claim service to my clients. Very pleased with work done! I have been pleased with all my service calls. I wasn’t sure where else I could submit this. I made a request for a non-emergency repair over the holiday weekend and someone was at my house by 10 a.m. today and had the work done in a little less than two hours. I appreciate your prompt service and the quality of your service professionals and the work they do. I have used your services a number of times and have never been disappointed. Please pass this along to management. Excavated and repaired sewer line. Would hire again. Late November is not the best time to replace your boiler (the main source of heat for my home) UNLESS you are fortunate enough to deal with HB McClure. From start to finish we couldn’t have rec’d better service from all involved personnel. Thanks! Once again, excellent response time & service. Aaron was not only friendly & responsive to questions but extremely knowledgeable on systems. Thank You Aaron! I am deaf and all the people handled it very well. The technician wrote out things to be sure I understood. The service I have received from HB McClure over the years has been very good. Always been pleased with your work. Very pleased with our service. Butch was so personable and resourceful. Scheduling staff were courteous as well! Service tech was very courteous and kind. Did an excellent job cleaning everything up. Your technician, Jeff, did an excellent job for us. Would take him anytime to do work at our home. Very courteous, knowledgeable, and professional. Great young man to represent your company. Lloyd did a great job! We wouldn’t think of using anyone else. Corey did an excellent job. We were very pleased with his work. HB McClure has been my company of choice since 1983. I have never had a bad experience with them. Appointments are always kept and 99% of the time, the tech has the parts and knowledge to solve my problem that day. Excellent work as always, always answer questions about unit. Rapid reply. Called in the morning and got service in the afternoon (same day!). Corey was very professional and friendly. Every part of your operation is first class. Your service techs are outstanding. HB McClure was the contractor on my home construction & I would use them to build again. The team arrived on time and were polite, respectful, efficient, and totally professional. We are extremely pleased with the duct cleaning. We will use HB McClure again and recommend to friends/family. Impressed with response to our call for service. Very quick, very courteous. I have used quite a few of your services very successfully and will be in touch for any future problems that may arise. Corey and Dan were very thorough and efficient in solving my sewer line problem. Thanks for everything. Don was friendly and personable. He explained what the problems with our furnace were and why each had to be attended to. He’s a good worker. I had a positive experience from start to finish. Bob Hummel was friendly, helpful and informative. The installers were prompt, courteous and cleaned up. Very impressed with the technician. They were very knowledgeable and professional. Both employees of your company did an excellent job. Very courteous & kind, knew what they were doing. Corey did original work and was excellent overall. Keith came and repaired both thermostats so far so good with no complaints. Both service men were great. Very businesslike. Answered all our questions. Matt was thorough and educated us on what he was doing & why. The technician was “above and beyond”, even thought to place our “thrown in the driveway” newspaper at our door! Very special employee. Any company in business for nearly 100 years-at that time- has to be good! Therefore we chose HB McClure after West Shore Oil went down the tubes. Oil was leaking into a room & it was immediately taken care of. You were great! I’d recommend HB McClure always. Great!!! Jeff gave me a brochure which was helpful. He also answered numerous questions which I had about plumbing and heating. He was very personable and helpful. We’ve always been pleased with HB McClure.The technician who serviced our furnace was very nice; he was also friendly with our dog which we appreciate. This technician has serviced my heat pump twice and I find him very respectful of me and my home. He is very courteous. I appreciate that kind of service. Brandon and Jamie that cleaned the ducts were very nice and personable. Very nice to talk to and answered all my questions. Donald answered my questions and was very knowledgeable about the system. Excellent customer service skills. Keith is very nice & polite. Just a quick note to let you know how happy I am with the back-up generator your company installed for me last year. As you know, I rely on electrical power as the sole source of heat for my home, and when the power was knocked out by a yet another bad winter storm on Feb 4th/5th, as it’s been so many times in the past, my back-up generator started and ran continuously for more than 3 straight days providing flawless stable power, allowing my life to go on un-impeded with all of the comforts we’ve all grown to expect (heat, lights, hot showers, internet, cable TV, etc. ), while the homes around me sat dark and cold and people were forced to temporarily leave until power was restored. This storm was the first multi-day test of the operation and reliability of the generator since was installed. It truly exceeded all of my expectations and fully justified my decision to purchase a backup power system for my home. It is extremely comforting to know that I no longer need to worry about or plan for extended power outages. My thanks to You and Dominic and the whole HB McClure team for providing a safe, dependable system that has proven to be everything I’d hoped for. I’m looking forward to many years of use and reliability from it. I had a great experience with this company from start to finish. 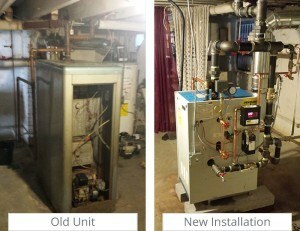 I converted from oil to natural gas and have a steam boiler system in my home.The salesman was prompt, professional and informative and kept in contact while I was waiting for UGI to run the gas line to my home. 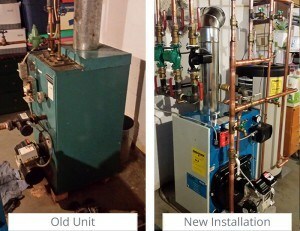 Once the gas was installed, the installation was scheduled promptly. 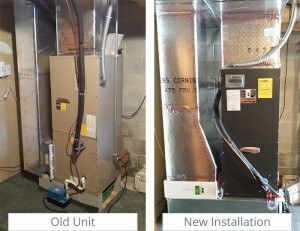 The installers were courteous and professional and cleaned up after themselves. 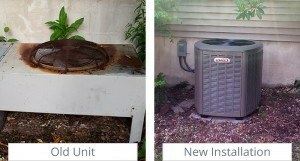 The price I listed included a chimney liner ($840) and the removal of the oil tank ($500)…and UGI charged an additional $1,396 to run the gas line. I was very satisfied with Derry Oil, so I was a little concerned when HB McClure took over. I was pleasantly surprised to find there was very little difference…everyone I have talked to was very helpful and caring! Thank you. Service man took time to explain problem to my understanding. Dan, the technician, was courteous, professional and answered all my questions with patience and knowledge. Corey & Dan did a great job. Very thorough and efficient. They are both very pleasant young men. Don Deimler is the best service technician. He always does excellent work on our system. Thank You Don! Very satisfied- appreciate that you combined jobs to save me cost of a service call. The technician did an exceptional job and applied a level of diligence and detail far surpassing previous technicians. PLEASE send this guy back for all future work!! Thanks!!! Your response to my needs for this particular job is why I will remain a repeat customer. Thank you very much and special thanks to the technicians. Your quick response saved me from a homeowners claim. Great team. The first team came on time and was very professional. Keep up the good work. Just wanted to extend our thanks to Gerald, who came out early this year and evaluated our antiquated water purification system, took a water sample and provided an excellent explanation to what type of system recommended to ensure a long term water quality. 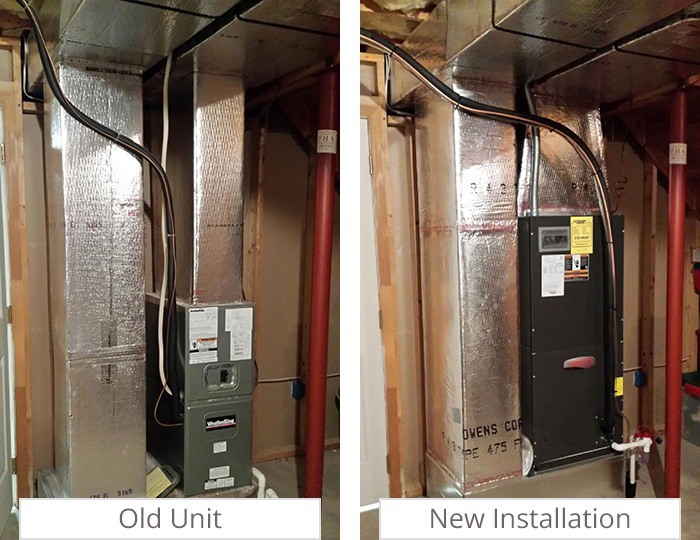 On March 28,Troy and his assistant installed the system, explained the operating details, as well as both did an excellent professional installation job. Our sincere thanks again as we have from the date of build been a satisfied HB McClure customer. Enjoy and very impressed with our new system–Thanks to the entire HB McClure Team!